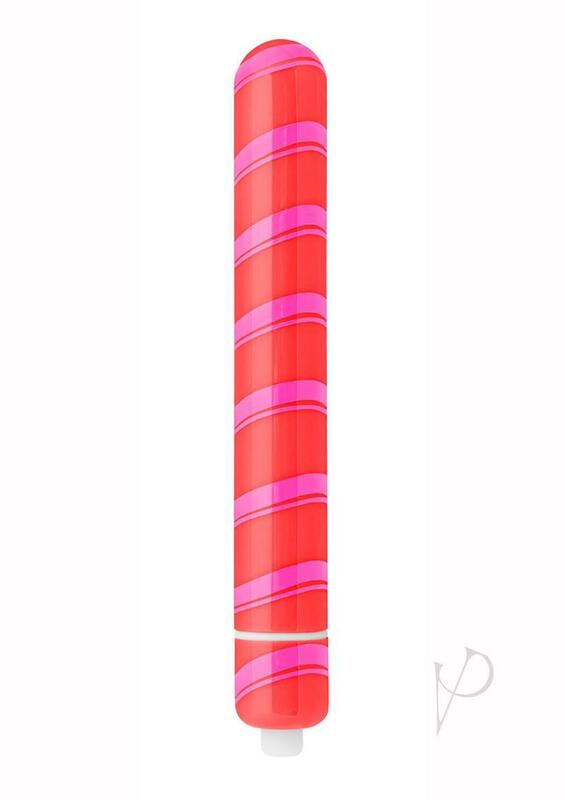 As part of the "Sweet Spot" Collection treat yourself to a Rock Candy� Candy Stick?! Wrapped in a swirled candy-colored shell, this super sleek vibe will spin you into sensual overdrive. Designed for ease of use and versatility, the extra long shaft feels extra delicious on every sweet spot! A high-powered motor boasts three vibration speeds, and two ?tease and please? pulsating patterns, satisfying the most decadent cravings. The speeds are easily controlled with the simple push of a button, located at the bottom of the shaft. The Candy Stick is a whimsical throwback to the timeless fun of eye-catching candy colors. Pick your flavor and treat yourself!